What Is Oxycodone? Is Oxycodone Addictive? Oxycodone belongs to a class of drugs called opioids, which are the most widely abused prescription drugs in the nation. It’s is a highly addictive drug, with a high potential for abuse and dependency when used frequently. Do I Need Oxycodone Rehab? Is There Oxycodone Treatment? Find a Treatment Center Don’t let Oxycodone addiction steal one more day. Find a recovery center today. There are many types of drug treatment programs, and inpatient rehabilitation is just one. Determining whether rehab is the best choice may depend on a complex set of factors. For people with the potential to experience a more difficult withdrawal and recovery process than others, rehab may be the best choice. According to the National Institute on Drug Abuse, prior drug or alcohol addiction increases a person’s predisposition toward an oxycodone dependency, as well as a history of mental health disorders. If you’re suffering from a poly-drug addiction, your detoxification and withdrawal process may be longer and more difficult, and depending on the substances involved can also be dangerous unsupervised. Rehab may provide you with the medical support you need for a safe and successful detox. Many rehab programs offer psychological services and psychiatric support for those with concurrent mental health disorders, which may complicate the recovery process. You may also evaluate your social support network when considering rehab. Many studies have indicated that high levels of social support can decrease the risk of relapse, while more limited support can increase the risk of relapse for some users. If you’re concerned about your access to a social support network during and after treatment, rehab may offer you a decreased risk of relapse when compared to alternative treatment plans, such as outpatient programs. Finally, if you’ve been through another kind of treatment program previously and found it to be unsuccessful, rehab may provide a better chance for avoiding relapse. Some studies have indicated that inpatient programs have a higher success rate than outpatient programs, particularly for patients who have been taking higher doses of a drug for longer periods of time, and are likely to experience more severe withdrawal symptoms. Most rehab programs begin with an intake process, which includes a physical and psychological evaluation in order to help your treatment team figure out the best course of treatment. Put the patient on a different, substitute drug, such as methadone while the patient’s body rids itself of the oxycodone. Usually, the patient will then be weaned off the substitute drug in time. Cognitive behavioral therapy is often used in drug treatment programs to help patients learn to cope with their cravings and deal with environmental triggers. Many programs also offer dual diagnosis treatment, which offers psychiatric counseling to people with concurrent mental health disorders and addresses both their addiction and any additional conditions at the same time. Some programs even offer family therapy, which allows patients’ families to come in and take part in group sessions, which teach family members to deal with their emotions towards the addict and apply the skills to maintain positive dynamics in light of their loved one’s addiction. Rehab programs often allow patients to maintain contact with their families during their stay. If this is important to you, check on visitation policies when exploring different rehab programs. Different rehab programs may last for different amounts of time. At a minimum, most programs last 30 days, but others may last for 60 days, 90 days, or even longer. Short programs are less disruptive to the patient’s everyday life and may be tempting for people with heavy work or family responsibilities. However, the National Institute on Drug Abuse suggests that programs shorter than 90 days may not always be adequate. Research has shown that shorter programs are associated with higher relapse rates, so it’s important to consult a medical professional about the minimum stay that is likely to be successful for you. This is especially relevant for users of oxycodone, as opioid addiction has repeatedly been shown to have a high rate of relapse. At residential inpatient programs, patients live together in a facility while receiving treatment for their addiction. These programs often treat many types of addictions in one facility, although some may specialize in particular substances. Executive rehab programs specifically target business executives and often include components of luxury rehab centers. These programs are frequently designed to allow executives to carry out their work obligations remotely while receiving treatment alongside other executives. Rehab programs also frequently cater to specific social groups. Women’s programs, age-restricted programs, and LGBTQ-friendly programs are common examples. Other programs may be based on different treatment philosophies. Holistic rehab centers, for example, advocate treating many aspects of the self, including the mind, body, and spirit. Helping patients develop the skills they need to cope with cravings, maintain abstinence, and avoid relapse after being discharged. It’s never too late to get help with an oxycodone addiction. Call 1-888-993-3112Who Answers? to speak with someone today. Rehab programs can be very expensive, often costing thousands, or even tens of thousands, of dollars. 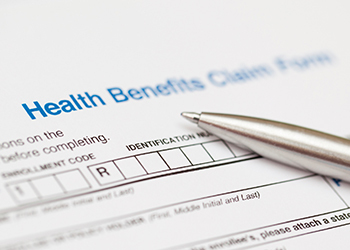 Health insurance carriers are generally required to include a provision for addiction treatment, but it’s important to look into other options that may help you pay for a program. Talking with family members or trusted friends about a private loan is a good starting place, but if this is not an option, you may consult with a bank or financial institution about taking out a public loan instead. Employee assistance programs are another option offered by some workplaces.,These programs are designed to help employees overcome personal problems that may affect their work performance. They frequently offer free counseling and health evaluations and could help cover the cost of a rehab program, if necessary. Talk to your employer about whether such a program is available at your workplace. Public, state-funded rehab programs also exist, and are generally reserved for people who cannot afford a private program.If you apply for one of these programs, which are often in high demand, it’s important to note that space may not always be immediately available. If this is the case, you may be placed on a waitlist until a slot opens up. Does Insurance Cover Oxycodone Rehab? The Affordable Care Act stipulates that health insurance plans must include services for substance abuse disorders. It’s important to consult with your carrier about exactly what services are covered for you, as not all plans offer the same benefits. The extent to which you are covered. Whether there are any special provisions related to your coverage. What kinds of referrals may be needed in order to enter a treatment program. Some plans may cover outpatient treatment or partial hospitalization only, or they may require a stint in one of these programs before covering inpatient treatment. How your co-payment schedule will be structured. If inpatient treatment is covered, you should also determine what part of it is covered. Find a Meeting Those who attend support groups or 12-step programs on a regular basis typically have improved outcomes. Find a meeting now. Rehab programs are designed to give patients the skills they need to manage their cravings and avoid relapse after being discharged. But this doesn’t mean that treatment has to end along with the patient’s stay in rehab. The National Institute on Drug Abuse stresses the importance of aftercare in staying abstinent and avoiding relapse. For some patients, returning to mainstream society immediately after leaving rehab may be an overwhelming prospect. In these cases, sober-living houses, or “halfway houses,” offer a means of gradually transitioning back. These are residential facilities designed to maintain a sober and supportive environment for recovering addicts while they get used to life outside of rehab again. Multiple studies have indicated that people who spend time in sober-living houses have improved outcomes and lower rates of drug use in the long term. 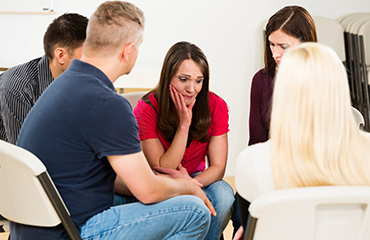 Enrolling in a support group or a 12-step program, such as Narcotics Anonymous, has also been shown to improve outcomes for recovering addicts. Unlike sober-living houses, involvement in a support group can be for life. In a similar vein, patients may also choose continue psychiatric counseling and therapy sessions after leaving rehab. It may be tempting to look into expensive programs, such as luxury facilities, but you can receive the same level of care at a lower price if you’re willing to compromise on some of the more costly amenities rehab programs offer. When choosing a rehab program, it’s a good idea to consult with an addiction specialist or other medical professional about the kinds of features you should be looking for in a facility. You may be able to receive a private evaluation, which will help you make decisions about the kinds of therapies and other resources that will be most helpful to you in a drug treatment program. If you suffer from a concurrent mental health disorder, for instance, it may be important to look into the kinds of psychiatric counseling a program offers, or to specifically search for a program that focuses on dual diagnosis issues. If you have been through treatment for oxycodone (or another substance addiction) previously and relapsed, a high emphasis on cognitive behavioral therapy and mechanisms for coping with cravings may be a focus for you. You may also choose to research different types of addiction philosophies. Many programs use the 12-step philosophy, which is the same philosophy used by Alcoholics Anonymous. However, this is not the only option. Consult with your health insurance carrier, as well as your employer, friends, family, and financial institutions to help you assess your options when it comes to paying for a treatment program. The most important thing to consider is the likelihood of a program’s success. When looking into different facilities, consider the length of the programs they offer and investigate their success rate for greater insight into whether they’re likely to give you the skills you need to avoid relapse after leaving the program. For help finding a recovery center that’s right for you, call 1-888-993-3112Who Answers? to speak to a treatment support specialist today.